2, 360 degree rotary hydraulic grab. 3, do not turn hydraulic grab. According to the user's actual working conditions and environment can be divided into: standard size arm with wood grabber, extended arm with wood grabber (extended arm is generally not recommended too long). If the user does not consider the loading problem can choose mechanical wood grabber, the price is cheap, cost-effective; if the customer needs to grab and carry, also need to load and transport the proposed use of rotary wood grabber, high practicability, save operating time, simpler and more convenient. 3. Non-rotating hydraulic excavator wood grabber: need to add a set of hydraulic valve block and pipe on the excavator to control. 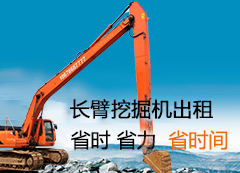 Excavators are suitable for processing wood grabbers: Cat CAT, Komatsu PC, Hitachi EX (ZAX), Shengang SK, Daewoo (Doushan) DH, Modern R, Kato HD, Cass CX, Sumitomo SH, Volvo EC, Liugong, Yuchai, 31, Xu Dig, Bangli and other excavators.